Grammar: <deksel> [noun] [de/het deksel, de deksels]. This Dutch word of the day is a special one and will free you of all your doubts and uncertainties: you can either say "de deksel" or "het deksel" without changing the meaning! 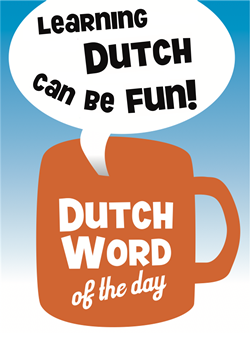 More of such words exist in the Dutch language and we will come across them in future DWOTDs. There is no preference for ‘de’ or ‘het’ and it is a matter of ‘personal taste’. 1. "Heb jij het deksel van de pan gezien?" 2. "De deksel van de vuilnisemmer past niet goed." 1. "Op ieder potje past een dekseltje": literally "on every jar/pot fits a lid", it is meant as comforting to those who still have not found their significant other. 2. "Deksels! ": (old fashioned (!) ) curse meant as an acceptable substitute for the more serious curses. This entry was posted in Dutch word of the day, DWOTD 1.0, Vocabulary Basic and tagged deksel by Dutch Gurus. Bookmark the permalink.